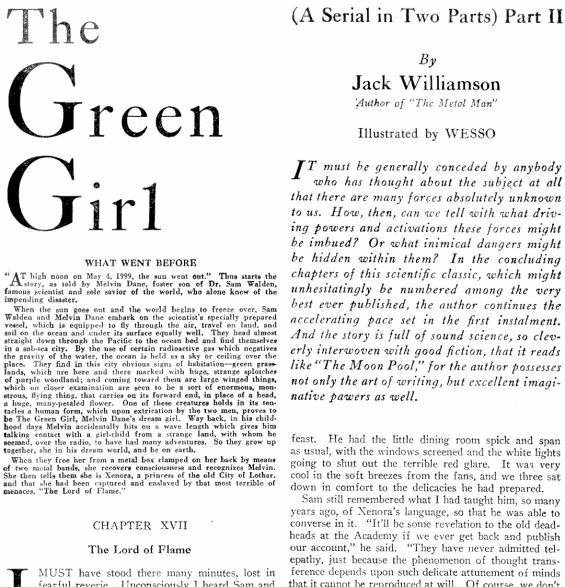 This week’s episode of the Forgotten Classics podcast saw the explosive conclusion of Julie Davis’ reading of the “scientific classic” The Green Girl by Jack Williamson. 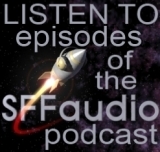 This short novel was one of our SFFaudio Challenge #5 audiobooks and so now Julie has won a prize (as well as our enduring respect)! When I added The Green Girl to the challenge Rick Jackson, of Wonder Publishing described it to me as “early sense of wonder SF.” I think that’s right. I guess I knew what that meant, vaguely anyway, but now that I’ve heard it I’d suggest the fantastic events, with their grandeur of scale, are magnificently preposterous. That said, The Green Girl is never quite cartoonish as there is a reverence, if not slavishly accurate reverence, for both science and the value of scientific knowledge. It’s this that distinguishes The Green Girl from many of its contemporary pulps. Melvin Dane has been seeing a vision of a green girl since he was a child. Images of her came over the ether. Is she just fantasy? Or a reality that managed to cross time and space? And now, with the Earth under threat of extinction, will Melvin ever meet that girl of his dreams? With an alien force trying to bring Earth back to the Ice Age, Melvin and his foster father, scientist Sam Walden, embarked on a heroic quest to save their world. Their adventures took them from their sleepy little cottage in the beaches of Florida to the unexplored and totally unexpected world beneath the ocean. 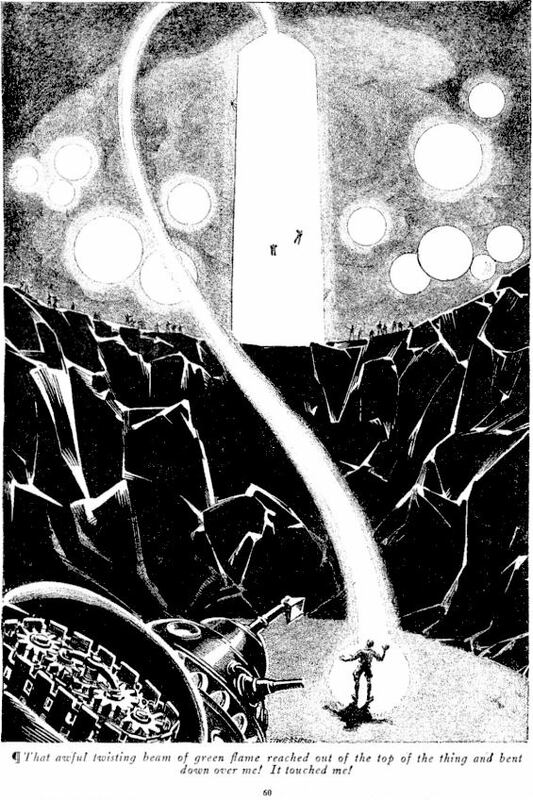 First published in the March and April 1930 issues of Amazing Stories. 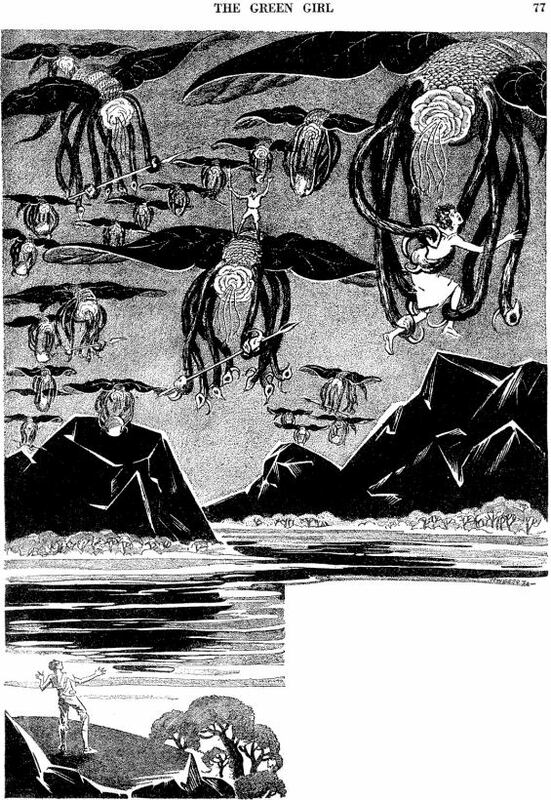 Later collected in 1950 as Avon Fantasy Novel #2. Thanks for doing this Julie. I can’t wait to listen to it.